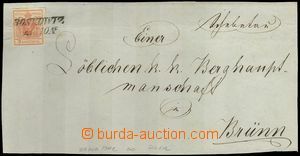 1851 whole address strip franked with. newspaper stamp. blue Mercure Mi.6, type IIc, very wide margins, cancelled cancel. 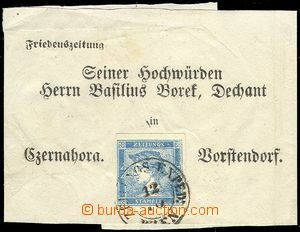 Zeitungs Exped: WIEN 12/10, sent to Moravia; superb, decorative! 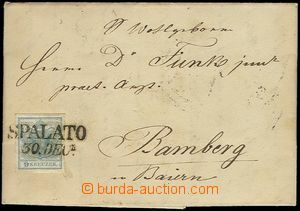 1867 whole address strip franked with. newspaper stamp. Mercure Mi.42, type Ib, rough print, very wide margins, cancelled modrým(!) CDS CZERNA HORA 30/10, sent to Moravia; superb, decorative! 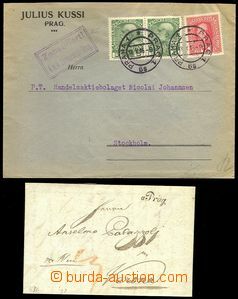 1909 OESTERREICHISCHE LLOYD - JACHT/ "THALIA", black line ship postmark on Ppc sent from Špitzberk to Moravia, mounted advertising ship label and postage stmp Norwegian stamp. with CDS Hammerfest 19.VII.09 and line SPITBERGEN; light stains, after all very interesting!